Congratulations to everyone who has organized events around the world in support of the United Nations’ second Global Road Safety Week. We are so proud to be a part of this worldwide movement to make our roads safer for all, especially pedestrians and children. I’d like to report on all the amazing activities the AIP Foundation team has put together in the countries where we work. Let me begin in the city where I live. On Saturday, our pedestrian campaign with Safe Kids Worldwide, which features a photo contest for secondary students, held an exhibition opening and public event in Ho Chi Minh City. More than 1,000 young people, volunteers, local and national government officials, popular Vietnamese celebrities, and community members attended. The morning concluded with a Long Short Walk - led by Nguyen Trong Thai, Chief Secrectariat of National Traffic Safety Committee - one of many around the world to advocate for the rights of pedestrians to be recognized on the road. After marching through main downtown streets, across intersections I travel every day, to express a collective desire for more sidewalks, improved traffic signals, and other measures to make pedestrians safer, I walked home. And there was the point. Advocacy for pedestrian safety is not just important because, as a road user category, they make up nearly one quarter of traffic fatalities, or because walking will make our cities and ourselves healthier (both good reasons!). Pedestrian safety is important, because we are all pedestrians. Nearly every journey will begin and end on foot. If we are not protecting pedestrians, we are all left vulnerable. In cooperation with the Global Alliance of NGOs for Road Safety, AIP Foundation has taken advantage of the increased attention of the Week to scale up our efforts on pedestrian safety and to give voice to other vulnerable road users in each of the countries where we work. We kicked-off the Week in Hanoi with a family event on May 4, combining activities to improve child helmet use, as part of our ongoing campaign, with a Long Short Walk. We also hosted walks in Vietnam during April in Ha Tinh Province and in District 9, Ho Chi Minh City. In Cambodia, our first “short walk” took place on January 10 on the streets of Phnom Penh, in conjunction with a press conference advocating improved traffic legislation and enforcement. 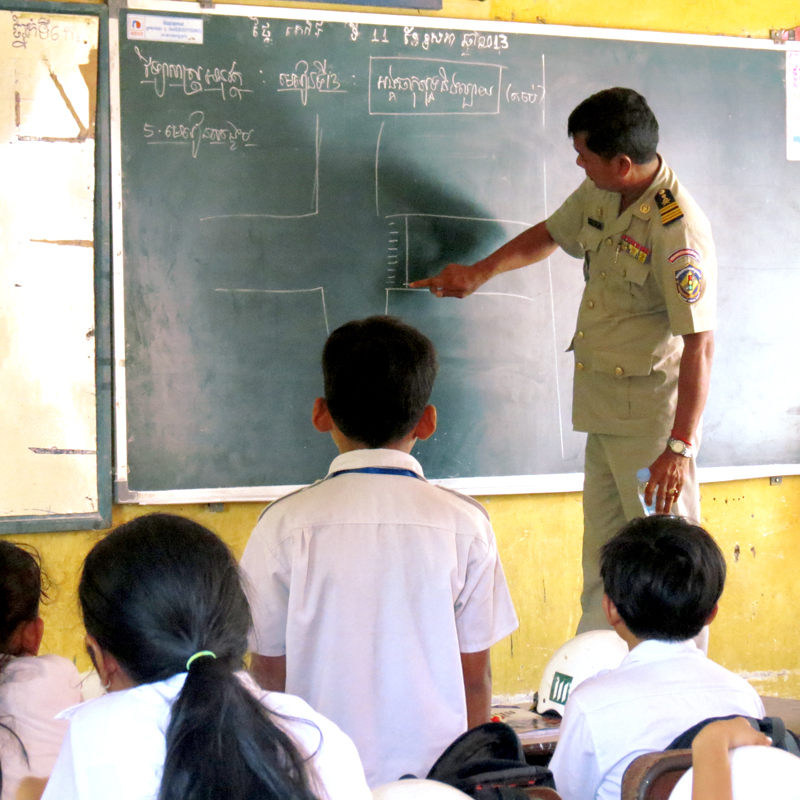 From May 9 to 11, we returned to schools in Phnom Penh and Kampong Cham Province, where we have already donated helmets, to provide pedestrian safety education, so that they are informed on safe road behaviors no matter how they travel to school. We concluded the Week by marching through Phnom Penh again on May 11 alongside the government and other partners. On May 1, we walked with local and international community members in Thailand along the streets of Bangkok's Pasri Chareon neighborhood, known for heavy traffic, with a few stops at the key locations to spread our message to passersby. This year, in the hills of Gaoqiao, China, we are piloting Walk Wise a pedestrian safety training program for primary students. On May 9, the police joined students, teachers, and parents at our two pilot schools to lead a Long Short Walk. Our Ugandan team marked the Week in a big way on May 7 by submitting a petition to the Parliament for improved enforcement of traffic laws. 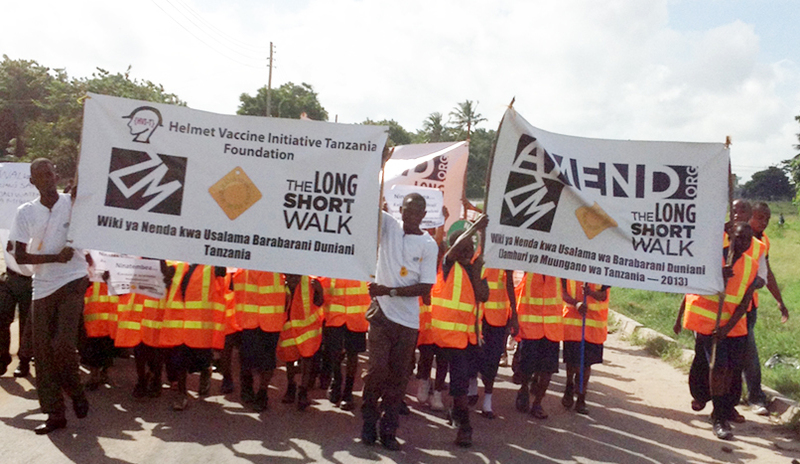 The next day Kampalan citizens joined the Long Short Walk for "safer road users," especially "pedestrians" and "children" in "Uganda!" And on May 11, in Dar Es Salaam, Tanzania, UN Tanzania Safety and Security Advisor Michelle Gersbach led secondary students and other stakeholders on a Long Short Walk through the Kinondoni Municipal Council grounds. In each of these countries and countless others throughout the world, everyone who has walked for pedestrian safety on the streets where they live and work, has walked for their own safety and that of their family and friends. Share our newest video to spread this message. 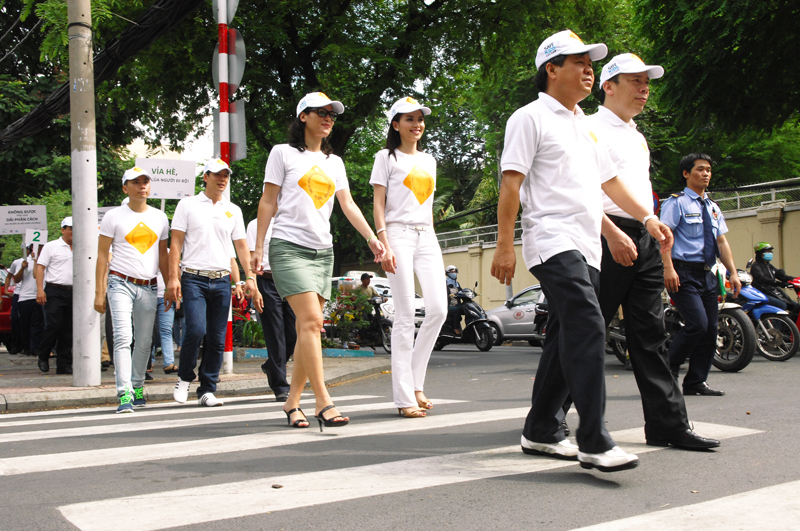 In the next year, we plan to scale up our work on safe walking, especially in Vietnam and China. As we do, keep informed through our monthly newsletters and our updates on Facebook, Twitter, Youtube, and Flickr.